Dreamy designer bedrooms do exist outside a luxury hotel or the pages of a magazine or Pinterest. 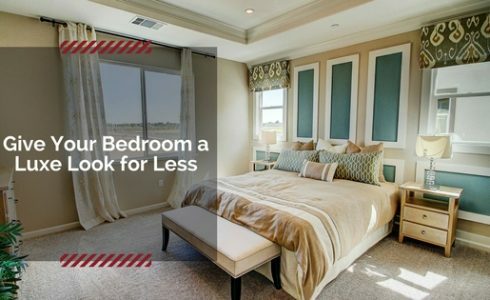 In fact, with a few simple tips, you can make your bedroom look polished and refined without emptying your savings account. We’re talking more than just clearing off your dresser. A common thread of the beautiful bedrooms in magazines and on Pinterest is the amount of space the rooms appear to have. Achieve this look by removing unnecessary furniture pieces or items and, if possible, reducing the size of your primary pieces. 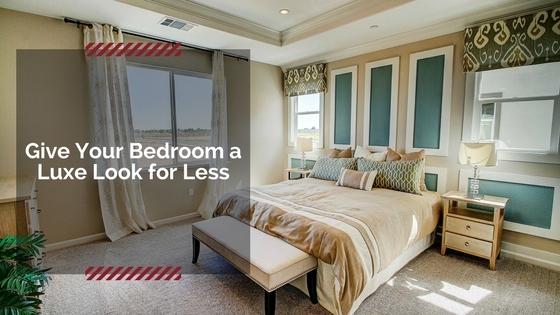 Another common trait of luxurious bedrooms is the lack of clutter on the floor. Be sure to keep the floor orderly by not allowing clothes to pile up and organized electrical and charging cords. Get a handle on the mess by using trays as an elegant storage option to corral smaller items on your dresser or nightstand. This is a classic tip but it works: upgrade the hardware on your dresser and nightstands. Unless they’re already stunning, there’s no need you have to stick with them. Replacing hardware is a quick and simple way to add a touch of glamour and style to your room, and there are so many ways to personalize the look, from brass or copper to crystal and more. Emulate your favorite luxury hotel experience by layering pillows. You don’t need to completely cover your bed in pillows (though that sounds divine! ); simply consider adding a couple of decorative or accent pillows. When you make your bed, simply place your sleeping pillows propped against the headboard, followed by your accent pillows in order of height. If you’re tempted to stack pillows, remember this tip: when placed on the bed, sleeping pillows and accent pillows should only take up about a quarter of the total bed length. Adding greenery to your room is a simple way to elevate your room. From small potted plants like orchids or succulents to larger plants like snake plants, they can jazz up even the most boring room. Have fun and add style with the pots, displaying your green beauties in a ceramic or metal container, or wicker baskets. Not only do house plants reduce stress levels and boost your mood, but they also provide lots of other benefits, including improving indoor air quality.